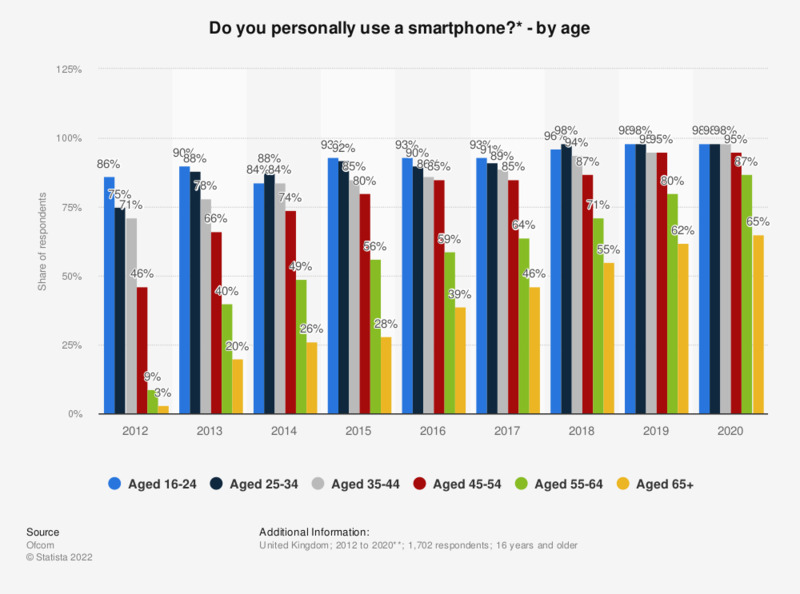 This statistic displays smartphone usage in the United Kingdom from 2012 to 2017, by age. In 2017, 93 percent of respondents aged 16 to 24 reported using a smartphone. The percentage of smartphone users aged 45 to 54 increased from 46 percent in 2012 to 85 percent in 2017. * The original survey question was "You said you use a mobile phone. Is it a smartphone? (prompted responses, single coded)." **September to October 2017 was the date of the most recent survey. Everything On "Smartphones in the UK" in One Document: Edited and Divided into Handy Chapters. Including Detailed References. Statistics on "Smartphones in the UK"
For what purposes do you use your fingerprint reader?